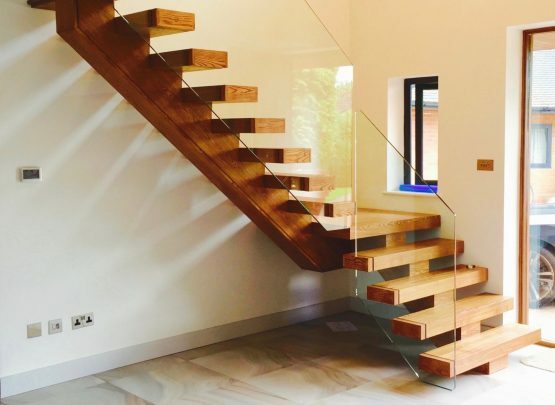 This house exudes a modern aesthetic, from the colourful furniture to the textured wall art and it needs a staircase to match. 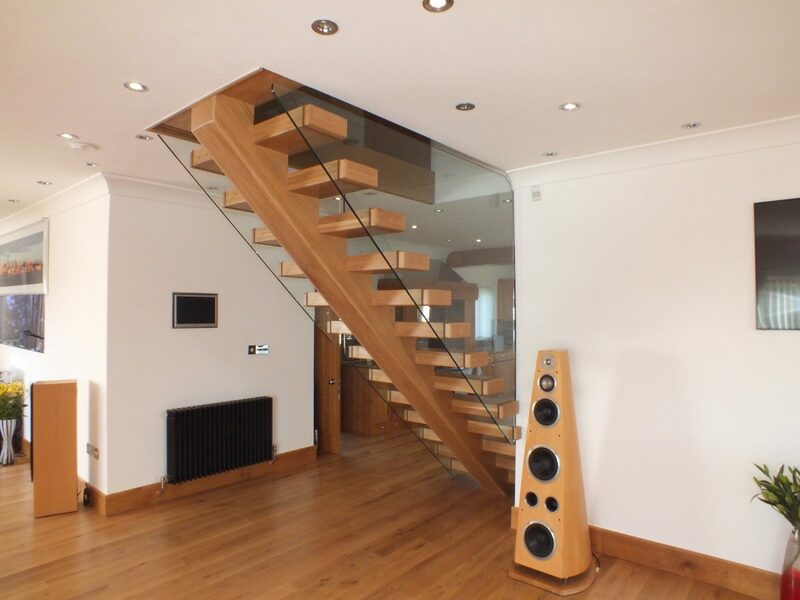 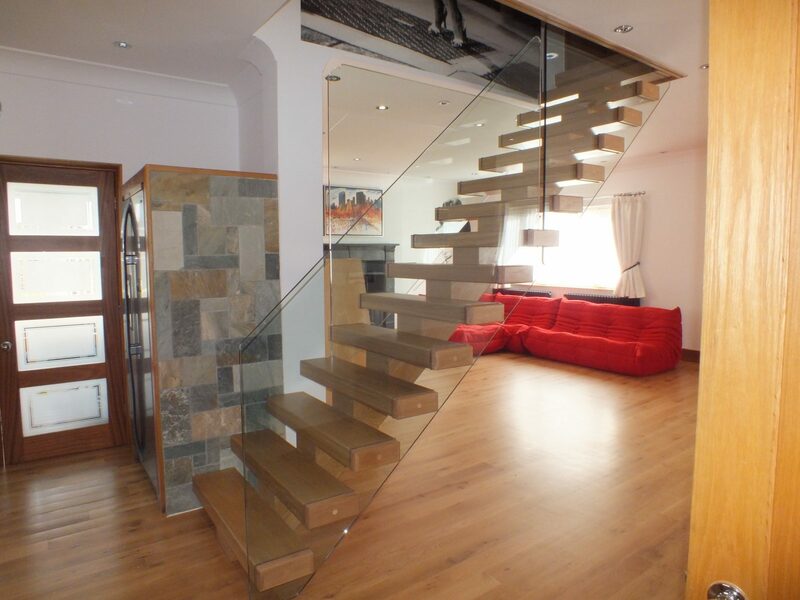 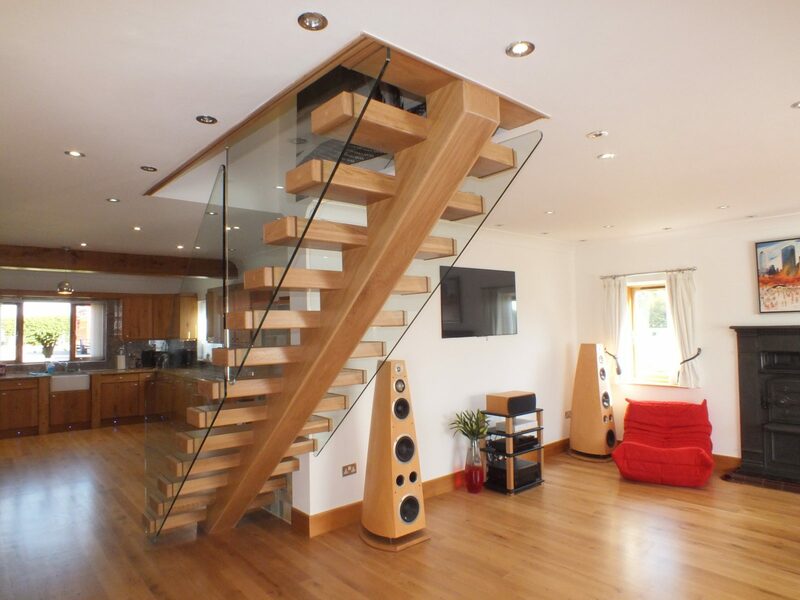 We where tasked by our customer to design a staircase that would look right and even add to the look and feel of his home. 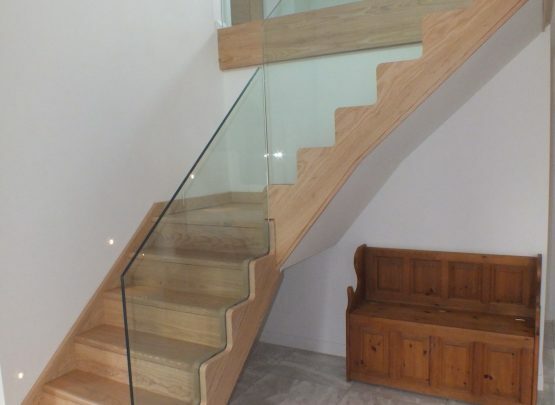 In oder to do this we looked at creating a staircase that defied every classic interpretation of a staircase, therefor there are no spindles, newel posts, and the stringer of the stairs is situated in a completely different location as it runs through the centre as opposed to on both sides. 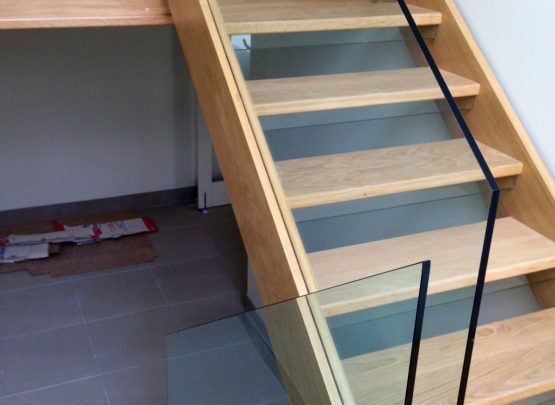 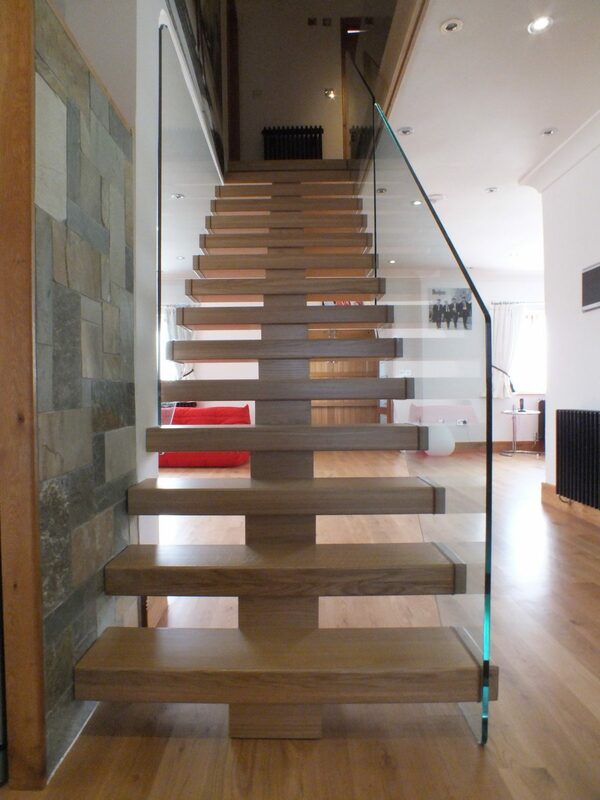 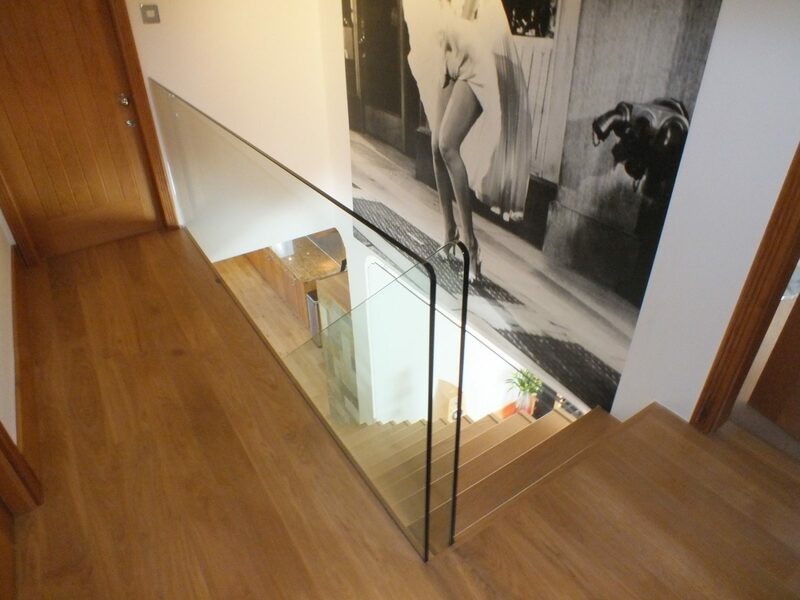 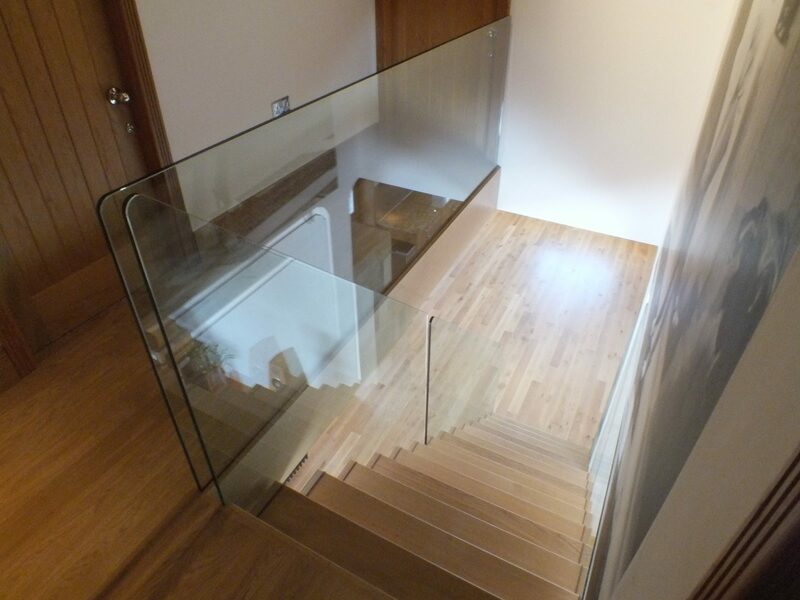 The structure comes from two supports running through the centre that are boxed together to create the look of one large piece of timber, the balustrade is made of 17.5mm glass with the steps inserted into the glass.